Liaisons presented at the 19th University on Youth and Development! 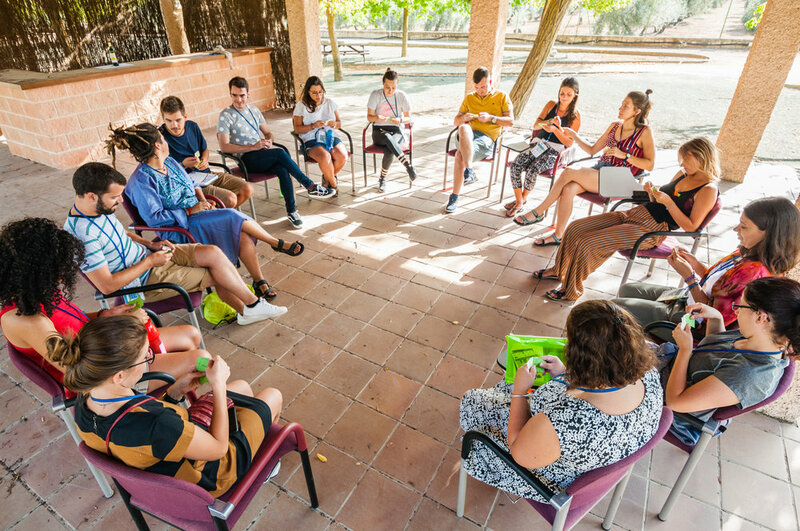 ERYICA was present as a partner at the 19th edition of the University on Youth and Development (UYD) in Mollina, Spain, together with 200 participants from Council of Europe member states, the Southern Mediterranean region and beyond. This year the programme activities focused on the United Nations Sustainable Development Goal 16: the role of young people in promoting peaceful and inclusive societies. To contribute to this aim, ERYICA brought the Liaisons manual to the event, presented it and worked with future multipliers in 5 workshops. The manual was popular among participants, who appreciated the approach it takes, considering radical ideas a progressive phenomenon, while discarding the aspect of violence. ERYICA also appreciated the opportunity to mainstream the manual for its target group. The UYD ran from 10-14 September at the CEULAJ (Centro Euro-Latino Americano de la Juventud) and it is a major capacity-building and networking event organised by the North-South Centre of the Council of Europe in partnership with the Spanish Institute for Youth (INJUVE) and the European Youth Forum (YFJ). Are you ready for the Global Media and Information Literacy Week 2018?